What is protein and why is it so important? Proteins are composed of amino acids that are critical in jump-starting the muscle recovery process. After any form of moderate to intense exercise, your body enters a state of muscle protein synthesis in which it tries to repair or replace damaged proteins. By supplying an immediate source of those amino acids post-workout through a shake, you’re giving your body the fuel it needs to sustain this process. Whey Protein Isolate and Whey Protein Concentrate are vital for muscle repair. Both sources have high bioavailability, all essential and non-essential amino acids, and are packed with branched-chain amino acids (BCAAs). The addition of two slower-digesting proteins, Micellar Casein and Egg Protein, helps to provide your body with access to the building blocks it needs for a longer time period. Hours. Not minutes. Adding MCT Oil Powder gives two key benefits over other protein products. First, it’s packed with the Medium-Chain Triglycerides (MCTs) C8, C10 and C12: healthy saturated fats processed from coconut and palm oils that your body converts into a source of energy. They have been shown to help support increased levels of mental cognition and aid metabolic function. Second, it’s a key ingredient that allows our blend to achieve a smooth, creamy consistency when mixed only with water. What makes PODZ Nutrition stand out from every other supplement brand is not only do we provide 28 grams of high-quality protein, but we go one step further. Our blend is packaged in water-soluble pods made from 100% food grade ingredients. One of our main goals is to provide convenience and portability to how you interact with your sports nutrition products. Whether it’s packing six pods for a 3-day business trip, throwing two pods into your gym bag before heading to the office, or dropping them into a shaker after your workout, our packaging is designed to go wherever you do. Because our pods are water-soluble and safe to consume, there’s no need to rip or cut them open. So using PODZ is simple: Drop it in. Shake it up. Drink it down. 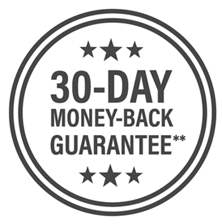 We’re confident you’ll love our PODZ products, but if you don’t, our PODZ are backed by a 30-day money back guarantee. Send us an email at info@podz.com within 30 days of receipt and we’ll issue you a full refund for any products that you purchased. We do not refund shipping costs unless items are defective. Please see our Refund Policy for details.